I enjoy reading all the weird and wonderful tips but, in my experience, being successful just requires one thing: great customer service. If your customers love you and value your business, every door opens. They buy more of your products or services. They reward you with long-term loyalty. You get more referrals – and word of mouth is the best customer acquisition tool because it’s meaningful (and free). Your reputation soars, which helps you recruit better employees, and attract investment. I could go on. I’ve run all kinds of businesses over the years, and there have been three lessons that have ultimately helped me to be successful each and every time. It didn’t matter if I was creating a bakery, selling white goods, or building a bold new technology venture – I’ve always stuck to these three simple rules. I’d like to share those with you today. With any business, the founder should feel personally responsible for its success. Like a pub landlord who puts their name up above the door, you must take pride in your venture and never hide behind the organisation, even as it grows. I see myself as personally responsible for everything that goes on at BigChange. My phone number is on the internet, and I take calls direct from customers at all times of the day or night all week, except the sabbath. If my customers experience any pain using our service, then I feel that pain too. I get copied in on all emails and I make sure that I’m involved until the issue is resolved. 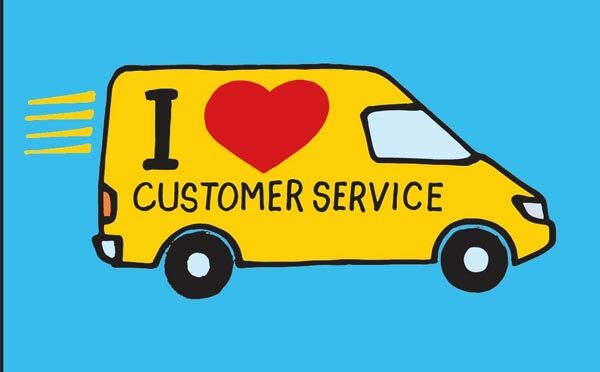 Customer service goes beyond the customer; it’s about how you treat your own people. If I get an email in the night, and I don’t see that someone else has handled it, I’ll phone the driver or engineer back. Doesn’t matter if it’s 2am or 3am, I’ll phone and ask what I can do to help. Some of the business leaders that I admire most have a similar strategy. It was a great shame when Dido Harding stepped down from TalkTalk, the telecoms business, following its cyber security issues. I remember when my mother had a problem with her TalkTalk internet service and I emailed Dido. She was genuinely interested in my mum, a woman in her seventies, and personally fixed the problem – even though TalkTalk had millions of customers at the time. Whatever she decides to do with her career, I’ll remember that interaction – that’s the power of great customer service. From day one, in all of my businesses, I have invested in customer service. People have always called me mad: spending money on a department that wasn’t directly related to sales. But it’s always paid off for me. At BigChange, we have at least one customer service representative for every 50 customers. We are creating a brand-new piece of technology, so we have always offered free webinar training and free support. We don’t even charge people to call us – we take on that cost. Great entrepreneurs make it easy for their customers to get in touch. That means offering online, phone, and offline options. If one of our customers is really struggling with something, we will send a person over to their offices to help them resolve it face-to-face. I think it’s safe to say that’s a pretty unusual strategy for a software company. When you spend on customer service, the return on investment is massive. We have really low customer churn – only 3% ever leave us. And some of those were due to company liquidations rather than cancellations. When you are building a business, you will come across difficult customers from time to time. They are never satisfied, and are always demanding more from you and your team. I’ve learned that a customer who is difficult at the outset of the relationship will often be difficult for the duration of the contract – that’s just the way it is. I should know: I’m a difficult customer myself and it takes one to know one. But the great thing about these people is that they help you to learn, and they drive your team to perform at a much higher standard. If every customer was passive and no one gave you a hard time, how would your business improve? It’s better to be challenged: a customer service team learns a lot as a result of dealing with difficult customers – they often speak a lot of sense. Many of our customers have been with us for years, whereas some employees might be brand new, and could learn a lot from the customer’s insights. It’s important to train your team to love tough customers. I take the time to explain that our customers come in all shapes and sizes. I like to use the analogy of the NHS. When a nurse is on the ward, some patients will complain that they haven’t been seen fast enough, others will apologise for taking up a bed. The ward is full of all sorts of people but the nurse has to make them all better, and make sure each patient leaves feeling they have received a good service.